This is my second time working with Nikki in 3 years. She is by far one of the best realtors I've ever met. She has helped me out of many rough spots and was available when I needed her. I’ve sold a home and also purchased a home with Travis Morris as our realtor with the Keller Williams team w/ Nikki Bateman!! I’ve recommended Travis to several of my friends. I highly recommend Nikki & her group if you’re in the market to buy or sell your house! I love the group so much, I referred them to my parents and sister, who also bought houses from her. The Bateman Team is hard working and very knowledgeable of the real estate market. They know how to negotiate and get the deal done! If you are looking for a friendly, efficient, and honest real estate experience look no further. Whether you are buying or selling a home this is the way to go. We have loved working with Nikki and Jeff! They sold our house in 3 days for full asking price...enough said! I'd recommend them in a heartbeat. Nikki and Jeff are so helpful! They guided us to find a great house in an awesome town! Nikki is fantastic and she worked with us for over a year as we looked for the right home. They went above and beyond throughout the entire process. Nikki has been the best part of my home buying experiance... I would suggest her services to anyone and will be using her if I ever do choose to sell in the future. She was extremely knowledgeable of the market, community, and did everything to make sure we were an educated customer while selling my home and working on my behalf to purchase my new home. The ONLY realtor who called me back on a Saturday afternoon, met with me that same evening to discuss the intricate details of home buying was Nikki! She took me out bright and early the next day, SUNDAY MORNING, to see several properties. As we all know, buying a home can be a daunting experience, but when you have the right person at your side providing their expertise such as Nikki did for me, it was no longer an insurmountable task. BEST housewarming parties for her new homeowners. She is an absolute pleasure to work with. Hands down, Nikki is sincerely the best real estate agent I know. We had a 5 star experience with Nikki. She came highly recommended to us by another med student at UCF. My experience using Nikki was an awsome one! She helped me sell my home, and find a home better suited for me back in March 2014. I couldn,t be any happier where I am now at this point and time, thanks to Nikki. I don't put my reputation on the line for just anyone, and can strongly state that Nikki Bateman is a consummate real estate professional, with high standards and personal integrity. There are no words to describe how Nikki has helped my family locate the house of our dreams. We used Nikki to help us find our dream home almost two years ago. She walked us through every step of buying. If we needed any work done on the house she knew someone that could do it for us. Her contacts are endless. I would recommend them to everyone who is buying or selling a property. I would go as far in saying that they are our Friends , because they always make you feel like a special friend. Thank you Nikki and Jeff for everything. We were on the fence about selling and one Saturday we went looking at new construction and at the last minute we called Nikki and she met us in Windermere! All the way from Oviedo. This is why I refer her to everyone I know. Her help cleaning painting and staging our house was absolutely amazing. We already had relocated and she took care of everything. If anybody wants to sell a house contact Nikki Bateman first. She was always one step ahead and very proactive and this is something that I really appreciate (this is not an easy find). As a Sales Professional, I am very much a critic when it comes to evaluating others who work in a sales capacity of any kind. Nikki was recommended to us and we were very happy that she was our realtor. I would recommend Nikki to anyone 10 times out of 10.Nikki helped us get a great deal on an amazing house in a beautiful neighborhood and we couldn't be happier. As first-time home-buyers who were new to the process and the area, we had an amazing experience with Nikki! 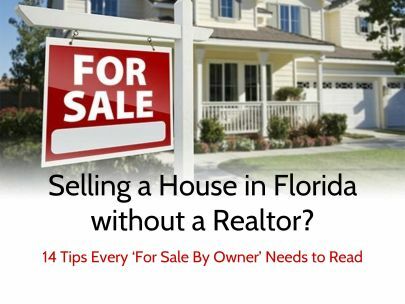 Selling a House in Florida without a Realtor? 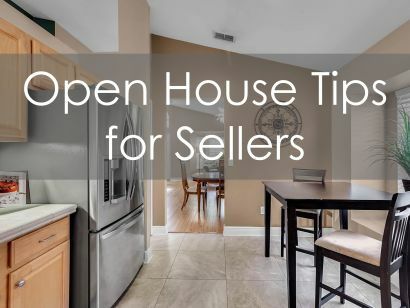 Ask the prospective home buyer to email you their pre-qualification letter or proof of funds prior to a showing. Here, you will find 6 simple tips to make sure that your house makes an outstanding impression. Want to list your home on Airbnb? 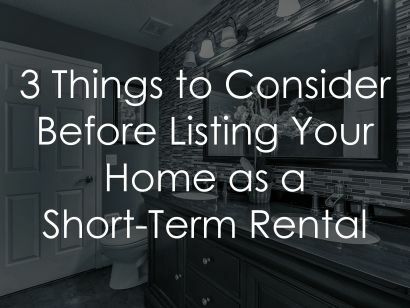 There are a few things you should consider first. Updated: 25th April, 2019 8:38 AM.